Scala Assistance was the first online seller of rovignettes and huvignettes on the local market and continues to be a strong presence since 2005. As its capital expanded, so did its online activities, requiring increased accessibility for all kinds of users and their devices. The client needed to enhance its service and allow customers buy vignettes much easier, faster, and from any kind of device. 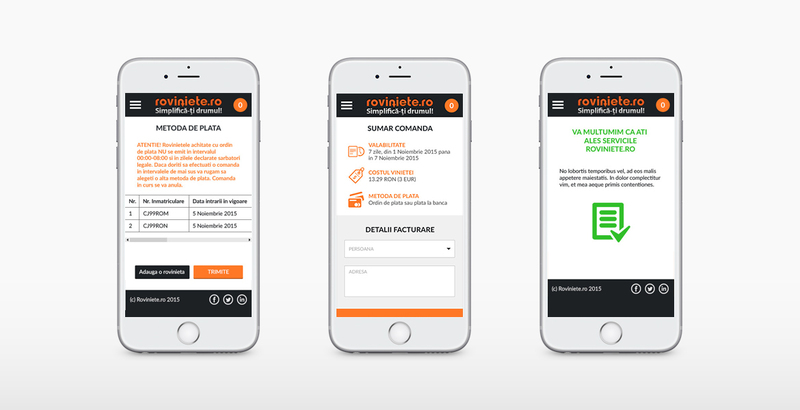 A simple responsive design of their desktop website wasn’t enough, so it became obvious that a dedicated mobile version of the actual website will be required. In order to keep everything simple, flawless, without any kind of errors, we focused on a minimalist design. We set up generously large tap spaces, to facilitate the ease of navigation and to increase the page load speed. Vignettes are part of the national road tax system in many countries, which is why selling these products can be a sensitive process. 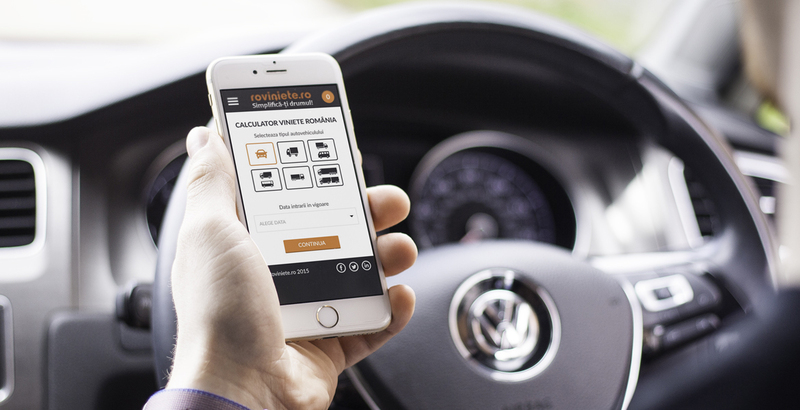 The website we developed and its dedicated app had to be connected to the vignettes generator’s API, as well as to the one of National Company Of Road Infrastructure Administration. Moreover, we had to set up a safe and effective online payment system. 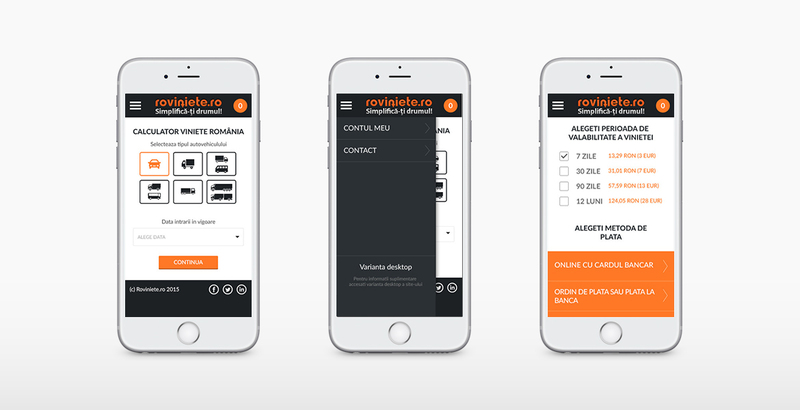 Given the availability of products in Romania and Hungary, as well as the number of foreign customers that the company has, our developers had to create a multilingual platform. 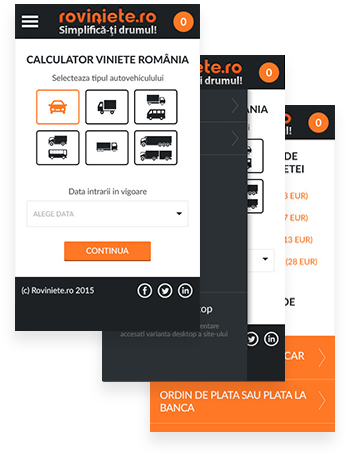 The mobile version can be accessed in 8 different languages and offers an incredibly simple and effective price calculator. Creating a mobile version of an already successful desktop website was challenging and required a lot of finesse. But the final product, a simple, intuitive and fast platform for selling vignettes via mobiles was and continues to be a blast. Simplified mobile design in order to have the best user experience. Simple & very fast process. Did you delight our vignettes online shop? Engage us and let's talk about your project!